They always have what we need. They also provide low pressure advice and guidance on products. Knowing I can return anything that doesn’t seem to meet our needs is very reassuring. Thank you so much for the marvelous review, Julie! Our team strives to go above and beyond to ensure each customer experience is excellent! We hope to see you again soon! I appreciate being acknowledged as soon as I walk in the door, coming from a retail background it’s what you grow to expect and I’m never disappointed. 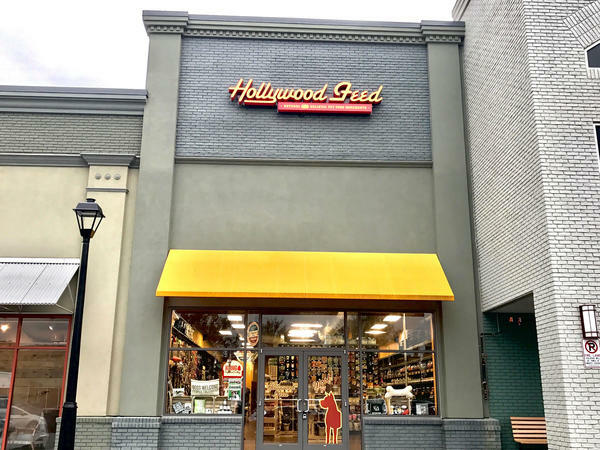 Every time I go in the Hollywood feed staff is happy and excited to help with any question I have with the expansive knowledge they have of their products. Shannon, thank you so much for the fantastic testimony! Our team strives to provide exceptional service and attends monthly training on products, pet health, and nutrition to ensure each pet receives the item best suited for their specific needs! We're thrilled you enjoy our service and hope to see you again soon! I am always happy to shop there. Your customer service is fantastic and pricing reasonable. Your sales are great too!! Thank you! Thank you so much for the amazing review, Debbie! We have a team dedicated to providing a wide variety of quality products at competitive prices to ensure the best purchase for every visit! We're thrilled you are pleased and hope to see you again soon! We appreciate this great review, Connie!! We hope to see you again soon!! Very helpful staff. Respectful if my dog doesn't want to be touched. Love taking my dogs. We appreciate this great review, Rachel!! We know that our store has a lot of different smells, and smiling faces - and that can sometimes be overwhelming for some pups. We do our best to make their experience as enjoyable as yours by adjusting our interactions to better meet their needs. We hope to see you all again soon!! Great place! Great selection and very friendly, helpful staff. Thank you for this awesome review, Melanie! Our team works hard to provide the best service, products, and experience during each visit. Come back and see us again soon!! Dee, thank you for the amazing review! Our team loves visiting all of the fur-babies that come into our stores! We're so happy to hear that you are pleased and can't wait to see you again!